Listen to the Experts. Learn from the Pros. With hundreds of interviews to choose from, where to start can be totally confusing! Let me make it super easy for you! 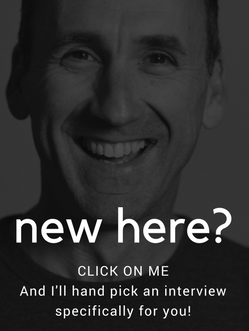 Click on the button below, answer a few questions, takes less than 30 seconds – I'll come back with the best episodes to start with FOR you. And yes, these are truly hand picked by me for you – no automation involved. You don't want my personal help with a couple of hand-selected interviews? Instead, click the button below to check out a page of my favourites. Interviews that have most affected the businesses of listeners and members. You can hear the latest episode right here, right now – just click play below! What's the PhotoBizX Podcast all about? Join me, as I interview successful photographers from around the world to uncover the facts about running wedding, portrait, pet and headshot photography businesses for profit. You'll hear photographers share more than you've ever heard them share before. Photographers including Jonas Peterson, Fer Juaristi, Sue Bryce, Ryan Brenizer, Peter Hurley, Gabe McClintock, Luisa Dunn, Ana Brandt, Nordica Photography, Jerry Ghionis, Ben Chrisman, Amy and Jordan, Two Mann Studios plus tons more. Photographers reveal exactly what they do in their business and how they do it. This is your perfect chance to learn what you don't already know, to shortcut your road to success and save you heartache from some of the tough lessons ahead. Learn what's working right now – from Facebook and Instagram Ads, Google Ads, SEO, pricing, customer service, referrals, third-party marketing, messenger bots to bridal expos, networking and referrals. Discover the exact way to market, advertise and promote to attract wedding, portrait, pet and headshot clients every day. Learn pricing, sales techniques, to add on, up-sell or not, what to do when the phone rings and what the experts do when it doesn't. It's not only photographers! Other guests include leaders in the fields of social media, on and offline marketing, advertising, branding, accounting – all offering real advice aimed squarely at being a successful photographer. Listen and learn from successful pro photographers FREE or go premium for $1 and get access to much more! There's a free and Premium version of the podcast interviews. Premium Members get access to so much more! What if you were given a roadmap to quit your day job and do what you love? Or some direction on how you can raise your kids, find structure, book more than free sessions and create a real photography business. A business with consistent income, a marketing plan, a profitable price list and real, paying clients. Sounds pretty awesome. And honestly, you can do this. I've been doing this for twenty years but I'm not the one you'll be learning from. 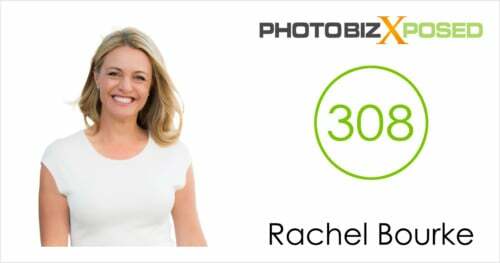 I started PhotoBizX because I WISHED THERE WAS SOMETHING LIKE THIS WHEN I STARTED MY PHOTOGRAPHY BUSINESS. Grab the $1 Trial Membership for 30 Days and put me to the test. Be ready, to be surprised by what's shared in these interviews and inside the Members Facebook Group. I want to go on and on about the people in this group, the resources, and the material Andrew covers, but I will stop! Honestly, if this goes up as a review, and you read only one line, read this one! Andrew is probably the most influential person I have ever met in regards to my business. Andrew Hellmich goes above and beyond, time and again, to ask the business questions that we all wish we could ask. This podcast is full of actionable advice from all sorts of working photographers. The corresponding FB group is one of the best groups I am involved with. I have launched my first Facebook ad and it still has 3 days to go. I live in a rural part of New Zealand’s south island so my reach is not huge but having said that, I have people wanting to drive for 4 hours to come and see me. It’s incredible. Already in a month’s time since implementing ideas from PhotoBizX I have generated more bookings and more revenue than I have in months. This moth may truly be my best business month since I started over 3 years ago! I absolutely love this community! I have never seen a group that proactively builds each other's businesses. Seriously the best photography business podcast out there. If you want to improve your business this is the podcast for you… If you run a Photography business you need to be listening to the photoBizX podcast! Your podcast is the most impressive thing I've come across on the internet. It's completely blown me away. I may not have to quit photography anymore because of the stress. Totally best thing I've done is sign up for the premium membership.